Which do you prefer? Hollywood’s “Glitz and Glam”; the excitement of “Lights, Camera, Action”; the Star Wars “Force”; letting go of your inner child to become a toy; or maybe “classic” Disney? It would be difficult to choose just one of those, right?! Well, great news – Walt Disney World offers a fantastic dose of ALL these exciting themes – in ONE park! Hollywood Studios is the place to be right now for all the right reasons. Check out our one day Hollywood Studios plan full of must-dos! Every day should start off with breakfast! The newest quick-service restaurant at Hollywood Studios is Woody’s Lunch Box located in Toy Story Land. Open for breakfast, lunch, and dinner – this is one lunch box making our must-do list. Mobile Order breakfast so it’ll be ready for you when you arrive! Try the Chocolate-Hazelnut or Raspberry Lunch Box Tart for a great grab and go option. Hopefully, you’ve scheduled your FastPass reservations in advance. 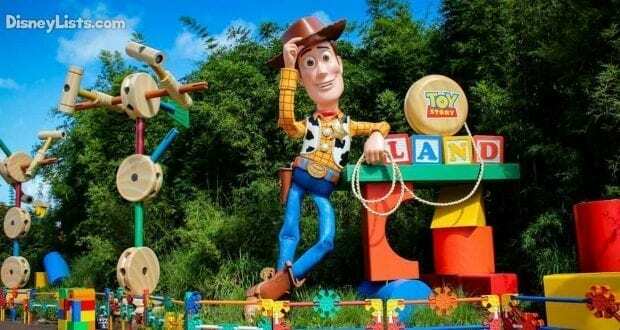 All Toy Story Land attractions are in Tier 1, meaning you can only select one attraction from Toy Story Land. 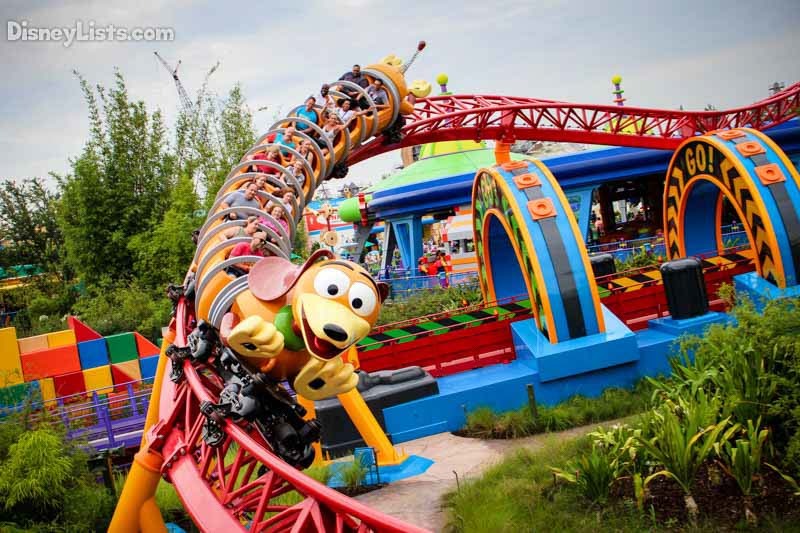 There are three Toy Story Land attractions including Slinky Dog Dash, Alien Swirling Saucers, and Toy Story Mania. Our recommendation would be to make a late morning FastPass reservation for Slinky Dog Dash, leaving enough time to rush in at park opening to get in line for Alien Swirling Saucers and Toy Story Mania. Beauty and the Beast – Live on Stage is an absolute must-do at Hollywood Studios! Whether it’s your first visit or your 100th, this show never gets old. It’s truly a “tale as old as time” and remains popular year after year. Grab a seat in the 1,500-seat Theater of the Stars located on Sunset Boulevard. Just be sure to check show times so you don’t miss this one! While you’re on Sunset Boulevard, you don’t want to miss the two headliner attractions at the end of the boulevard. The most stately (and eerie!) attraction in the park is The Twilight Zone Tower of Terror. Just follow the screams to the entrance and get ready to hold on tight for an unforgettable ride up (and down) a haunted elevator. Once you get your feet back on the ground, get ready to do loops at top speed on the Rock ‘n’ Roller Coaster starring Aerosmith. These two attractions are on the Tier 2 FastPass list and would easily be our top picks for attractions to reserve FastPasses for well in advance. After all these attractions, it’s likely time to make a snack and/or lunch stop! Our must-do snack at Hollywood Studios is the Hollywood Scoops Ice Cream Sandwich. Ice cream flavor of your choice smushed between two cookies – and tada… you’ll be holding a heavenly treat to scarf down before it melts! While you’re enjoying your Ice Cream Sandwich, catch some must-do entertainment that is a little harder to plan for but worth stopping to watch! Citizens of Hollywood is a crew of incredible actors and actresses that showcase their stuff right on Sunset Boulevard. Their performance schedules aren’t published but they do drop by frequently enough that hopefully, you’ll have a chance to catch them and enjoy a good laugh. If you’re rolling your eyes because you are “Frozened-out”, this one may surprise you! It doesn’t matter if you’re two or 102, singing along to “Let It Go” is rather enticing, to say the least. If you aren’t in the mood to sing along, at least enjoy the live stage performance from favorite Frozen characters. A surprising must-do on our list! The new Hollywood Studios land, Star Wars: Galaxy’s Edge, will be arriving late fall 2019. Outside of Toy Story Land, all the buzz at Hollywood Studios is about Star Wars! Star Wars must-dos definitely include the Star Wars Launch Bay with great character meet and greets and awesome merchandise. Better yet, take a ride into space on Star Tours – The Adventures Continue. This 3D, motion-simulated space flight takes guests to incredible Star Wars destinations. Some of the very best table-service restaurants are located at Hollywood Studios. Our top table-service must-do however goes to Sci-Fi Dine-In Theater. Located on Commissary Lane, this is a great restaurant to relax and unwind while taking a seat in a car to watch sci-fi films on the big screen. Tasty grub and milkshakes awake that 50’s-style vibe for a memorable experience. Mickey & Minnie’s Runaway Railway attraction opens in 2019 in the former location of the Great Movie Ride. 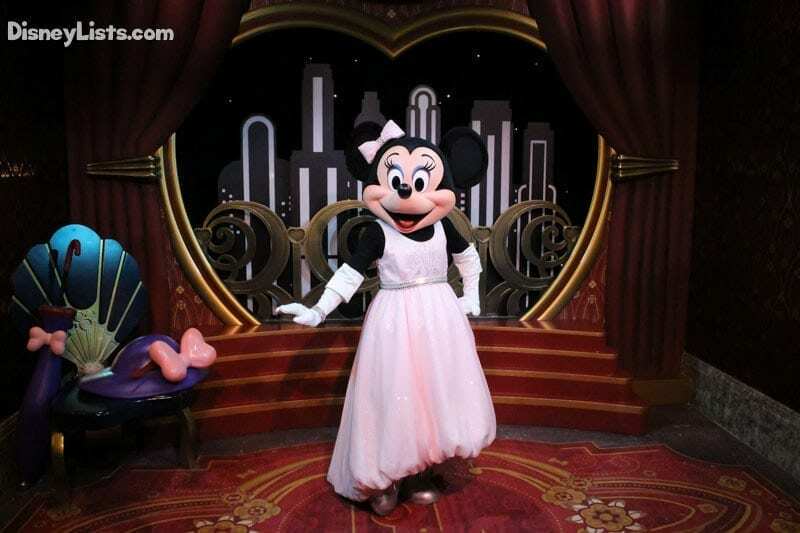 While we await this attraction, Hollywood Studios still has a great opportunity to get your Mickey and Minnie fixat Mickey and Minnie Starring in Red Carpet Dreams. Located just across from Sci-Fi Dine-In Theater, you could head over to meet this sweet duo after dinner! Minnie is on the red carpet in her best dress while Sorcerer Mickey is after her for an absolute character must-do. The evening is sneaking in, but before preparing for the nighttime spectaculars, we’d recommend a beer or specialty drink at Baseline Tap House located next to Sci-Fi. Grab a beer to go and get ready to enjoy an unforgettable nighttime experience! Catch the early showing of the must-do Hollywood Studios nighttime entertainment, Fantasmic! This is a 30-minute show located just off Sunset Blvd that exudes “classic” Disney. Mickey’s dream unfolds as you watch him struggle against numerous Disney Villains. Water screens, lasers, fireworks, music… it’s incredible! Once Fantasmic ends, hurry over to the front of the Chinese Theater to experience Star Wars: A Galactic Spectacular. You’ll enjoy 14-minutes of fantastic fireworks and Star Wars projection. It doesn’t matter if you’re a Star Wars fan or not – this is impressive, to say the least. We are Disney nerds. 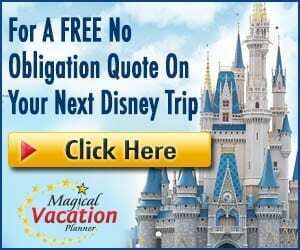 Two kids at heart who love the magic and the memories of Walt Disney World! We follow all things Disney and have great experiences with being Annual Passholders, Disney Vacation Club Members, and RunDisney participants. We enjoy the vacations, day trips, weekend getaways and geek out over the planning of such events. 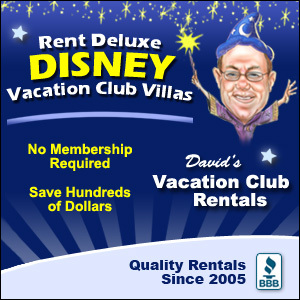 From lodging to dining to Fastpasses we have a spreadsheet for every occasion. Mike’s frivolous Disney goal is to acquire as many MagicBands as possible while Jamie’s goal is to experience as many Disney desserts as possible. Usually there isn’t a day that passes without some discussion of the master plan of our next trip to the happiest place on earth. Most people think we’re normal – until they travel to Disney with us. We have been married for 13 years and are blessed with two children - our 8-year-old daughter and soon to be 2-year-old son. As a family we thoroughly enjoy the magic and the memories at Walt Disney World and are here to help others experience the magic as well.